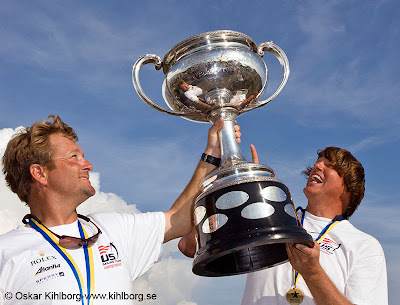 Varberg, Sweden (August 7, 2009) - George Szabo and Rick Peters (USA) won the 2009 Star World Championship with a third place finish in the final race of the series. Lars Grael and Ronald Seifert (BRA) won the race by a country mile and the Junior team from Argentina, Alejo Rigoni and Juan Pablo Percossi were second in the race. Szabo/Peters won the Star Worlds with an average score of six points for the five races in their scoreline. The American team started to the left of a group of contenders for this year’s title and played the shifts in the breeze that swung right as it faded. They bore away on the run in sixth place. After they sorted out their sheets and the whisker pole they could look around for their competition. They weren’t trailing right behind. They weren’t even in sight. Szabo/Peters merely had to stay clean for the rest of the race. Instead, they bettered their score and pulled into third place by the second windward mark. 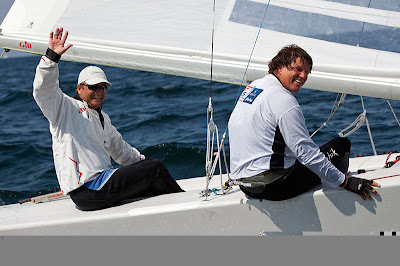 Lars Schmidt Grael and Ronald Seifert sailed as if they were leading everyone down to the 2010 Star World Championship in Rio de Janeiro. Talented in light air, Grael steered Seifert, with whom he has been sailing for only a few weeks, to a victory the likes of which are rarely seen. They were well over two minutes ahead of the young Argentineans, who clinched the Junior Champion title with their second place finish for the day. Many of those who were in contention for the regatta sailed their discard race today. Peters had another message for them, “I can’t believe they sailed themselves out of the race. They didn’t go to last night’s trophy presentation and they go what they deserve. I’ll give them a hug anyway.” Anticipating that all of the races for the World Championship would have been completed yesterday, VSS held a wonderful trophy presentation and dinner last night in which those collecting trophies also collected a lot of hugs from all of the club’s junior volunteers who were on stage to present the awards. Hamish Pepper and Craig Monk (NZL) sailed their discard in the final race and finished the regatta seven points behind Szabo/Peters. 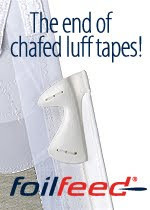 By winning today’s race, Grael/Seifert moved into third place on a countback, tied with Alexander Schlonski and Firthjof Kleen (GER). 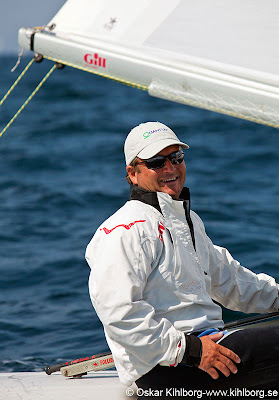 “It’s a good day for SDYC,” said Andrew Campbell (USA), who like Szabo sails out of San Diego Yacht Club. 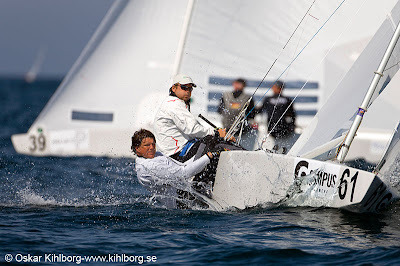 Campbell sailed the regatta with Magnus Liljedahl. Campbell/Liljedahl were fifth for the series. Freddy Lööf and Johan Tillander (SWE), local favorites finished a respectable 6th and will have plenty of opportunities to go after Lööf’s third Star World Championship title once again. Alejo Rigoni and Juan Pablo Percossi (ARG) were the top Junior team in the regatta and finished 9th. Andy Macdonald and Brian Fatih (USA), the top Masters, placed 14th; one point ahead of Mats Johansson and Leif Möller (SWE). Ingvar Krook and Henrik Hasselgren (SWE) topped the five other Grand Master teams. Pelle Petterson and Anders Ekström (SWE) beat out Sune Carlsson and Dan Anders Carlsson (SWE) for the Exalted Grand Masters title.